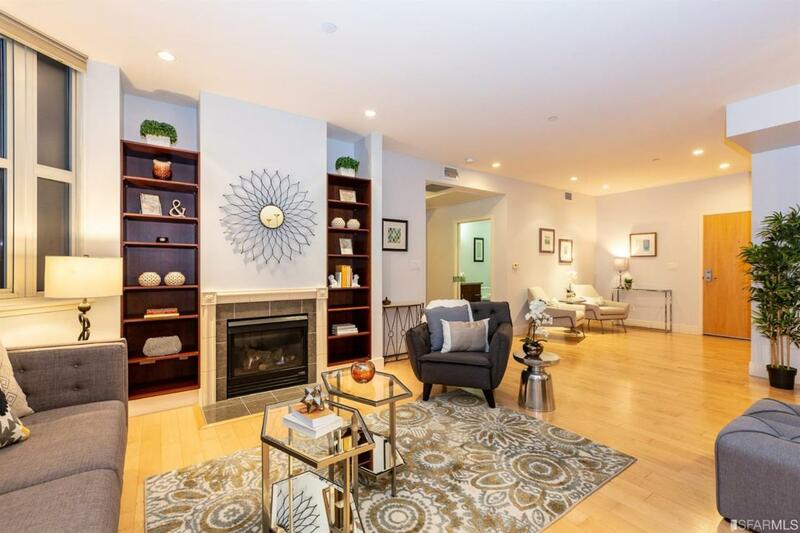 Contemporary and sunny condo in Laurel Heights! Open floor plan with hardwood floors and west facing windows. 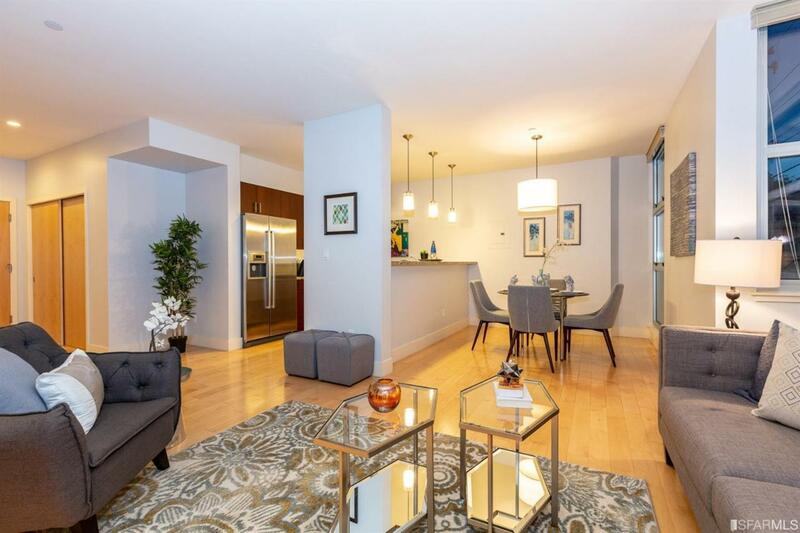 This airy 2 bd/2 bath condo is equipped with a sleek kitchen with stainless steel appliances, breakfast bar, and adjoining dining area. The formal entry, which could be used as a home office or library, opens to a welcoming living room with fireplace. All windows face Spruce St. Master bedroom has a large walk in closet and double vanity with tub and shower. Just outside is a large common patio to enjoy the BBQ, fire pit, and heaters. 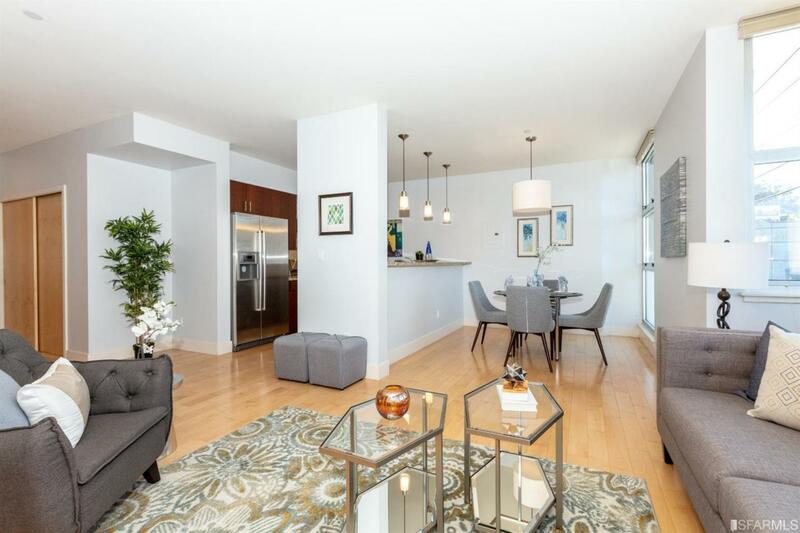 Conveniently located just a short walk to the conveniences of Clement, California, and Sacramento St. 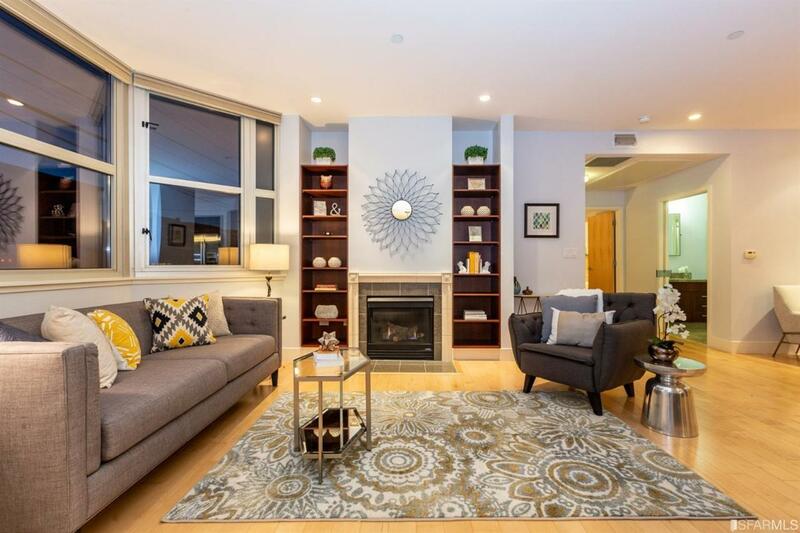 Listing provided courtesy of Laraine Hsu of Kindred Sf Homes.